I’ve been craving sushi recently and I continue to get the Spicy Tuna Roll from the Fresh Market next to my apartment to appease my cravings even though I fully realize that it’s grocery store sushi. Yes, I just judged grocery store sushi. 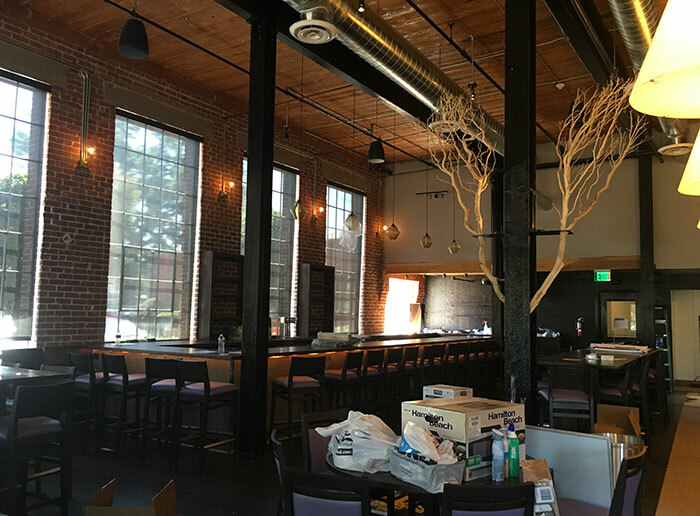 Given my sushi love, it goes without saying that I’m pumped for award winning sushi restaurant O-Ku to open in South End’s Atherton Mill (25 yards from Big Ben Pub). The O-Ku team told the Agenda that barring any last minute construction/permitting hiccups, their open date will be Friday, September 23. Spicy Tuna to the face in roughly two weeks. I strolled through their space yesterday and had some decent chit chat with general manager Justin Shoener who moved here from Orlando about 3 months ago to run the restaurant. Great guy. 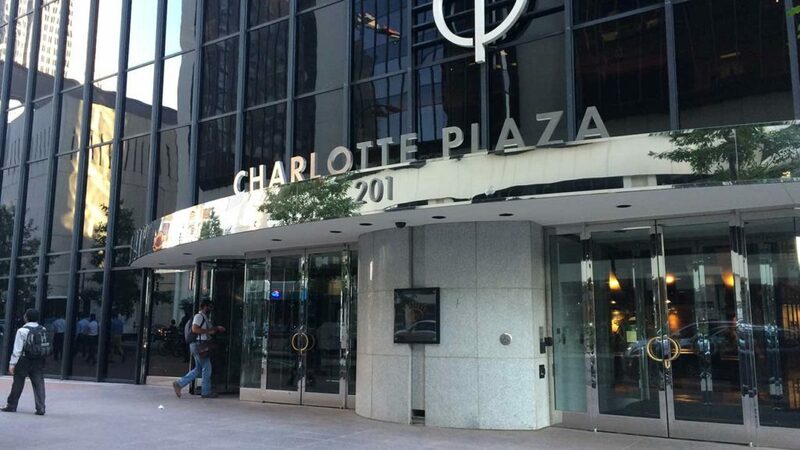 I’m bullish on this restaurant – the management team has a proven track record, foodies respect the brand, the location is solid and Charlotte definitely has room for a premium sushi restaurant. 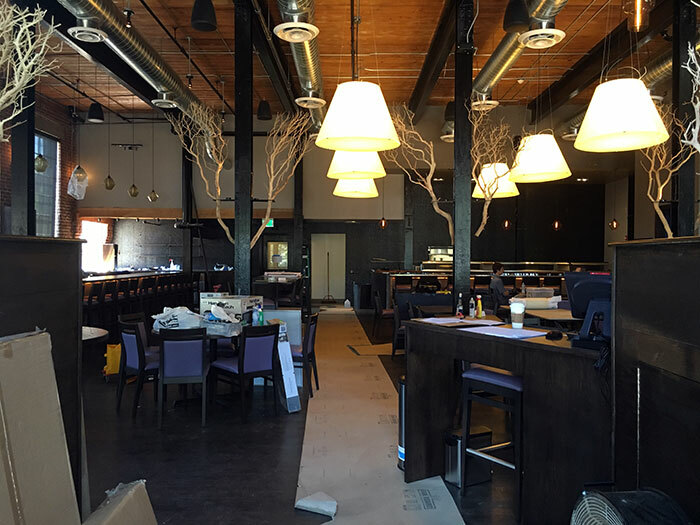 Space is open – Tables all around, bar and high tops in back left and sushi bar in back right. 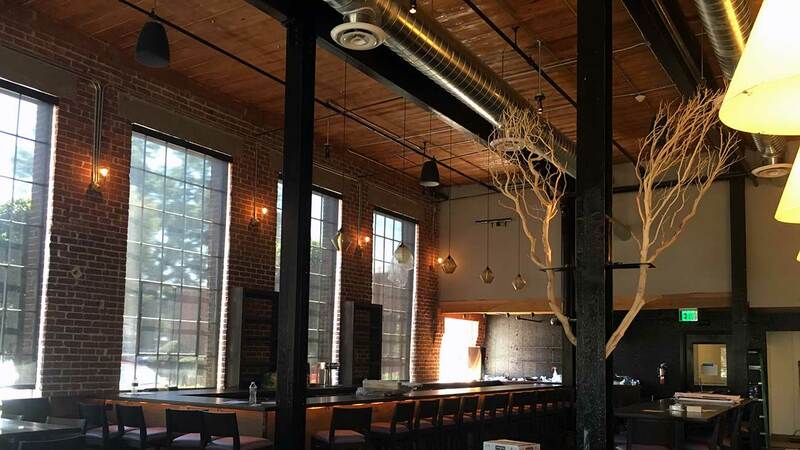 O-Ku describes itself as “Asian cuisine with a Southern approach.” Think small plates and sushi. Here’s a few menu highlights (view full menu here). Here’s a representative sample of the menu with price points: O-Ku Spring Roll ($12) Tuna Tartare ($16), Spicy Sesame Pork Belly ($15) Rainbow Roll ($14) Pan-seared Scallops ($28). Craft cocktails, premium sake, champagnes, wines and unique beer selections (including about 6 taps). 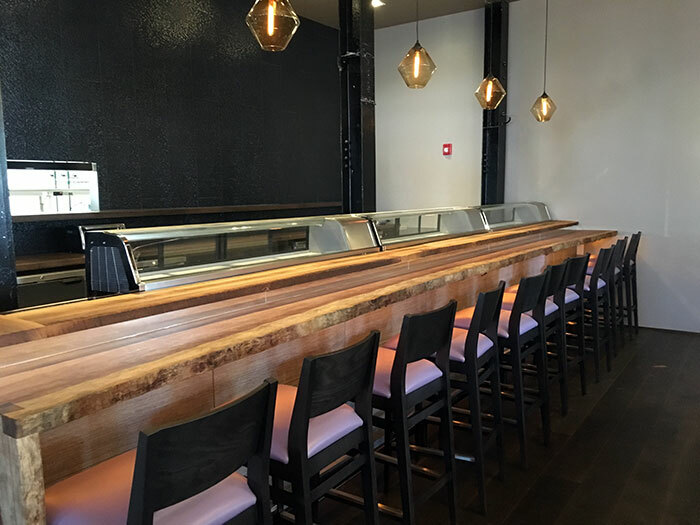 Agenda Pro Tip: There will be a Sushi Happy Hour from 5 to 7 p.m. on Mondays and Wednesdays featuring half off all sushi rolls. 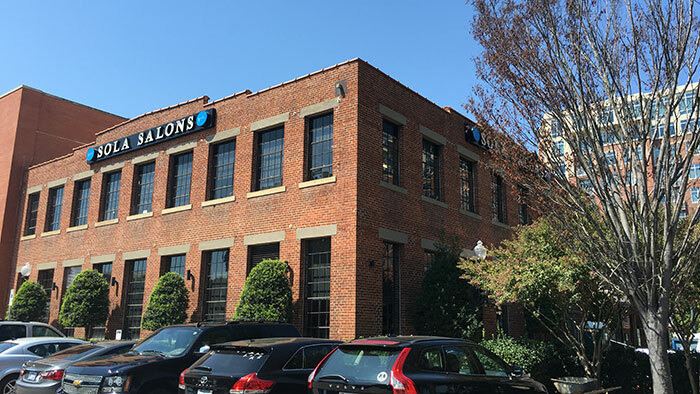 O-Ku is on the first floor of the Sola Salons building in South End’s Atherton Mill.